We all know that while making a PowerPoint presentation, there are many points that need to be remembered; a lot of practice is involved. Despite all the amazing literature that is available on making a good presentation, bad presentations still exist. A video on the subject of bad presentations is slowly gaining popularity on the internet. Rightly named “Every Presentation Ever: Communication FAIL“, it’s a humorous review of the mistakes that happen in presentations. The video on Presentation Mistakes has been created by Tripp and Tyler from Growing Leaders. 1. Do not read out your slides verbatim! 2. Did you notice the bad visuals in the slides used? Use good and relevant visuals. Good visuals make a difference! 3. The audience lose their interest fast if the presenter is unable to connect with them. 4. Ignoring the audience’s need; unable to recognize what the audience want. 6. Bad colours and the clarity of PPT is not good. What did you notice? Tell us! Looking for interesting visual aids to overcome these PowerPoint mistakes? 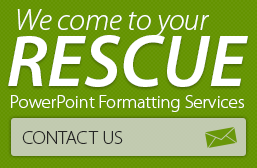 Browse through our PowerPoint store for lots of exciting PPT products. 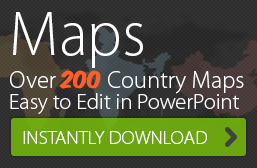 Let 24point0 format and polish your PowerPoint presentations. We can also polish your content, and integrate your whole presentation. Contact us today!